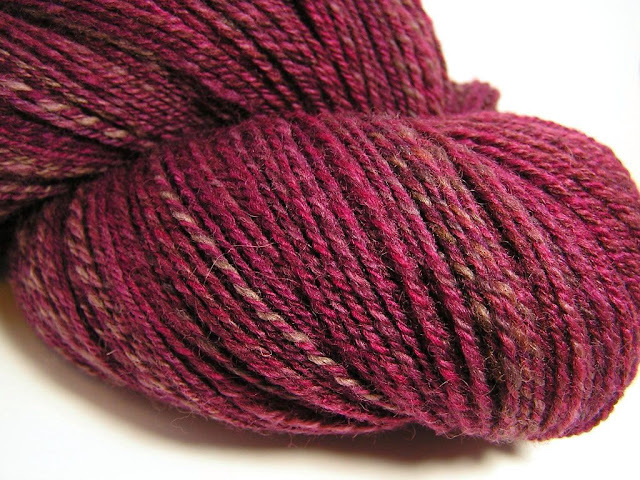 I've got spinning to share! 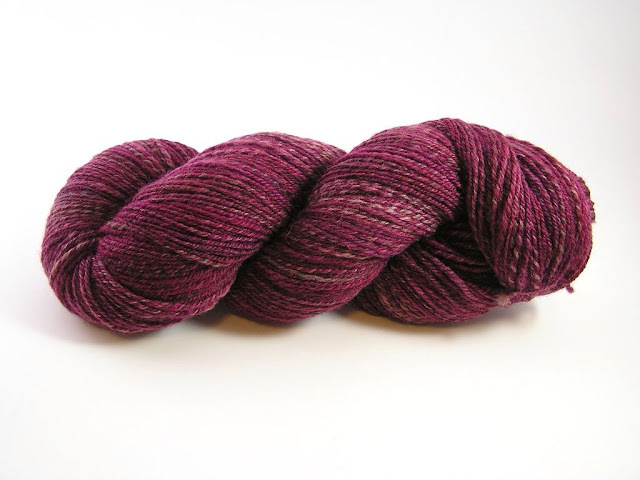 This one is swirl BFL from Unwind Yarn Company. It was an utter delight to spin. I'm kind of in love with Dana's colourways. My spinning wasn't as even as I like, but whatever. Pretty! 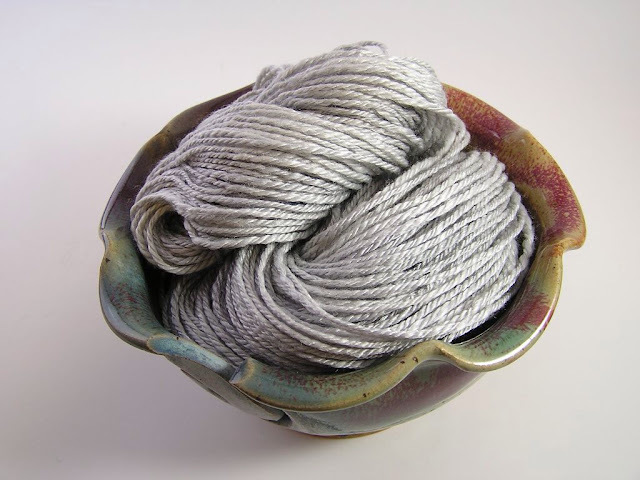 Now, some gorgeous oatmeal BFL from Sweatermaker Yarns: I had originally intended on a poopfy 2ply, but I hadn't got even a yard onto the bobbin before it was perfectly clear the fibre NEEDED to be 3ply sock yarn. 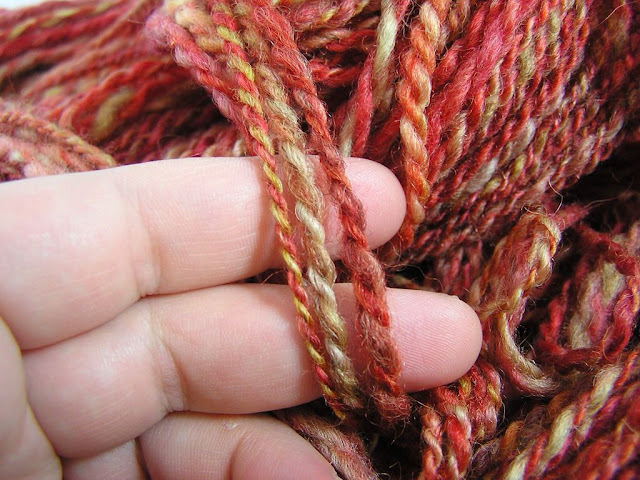 I am so in love with this yarn- it is by far my best spinning yet. 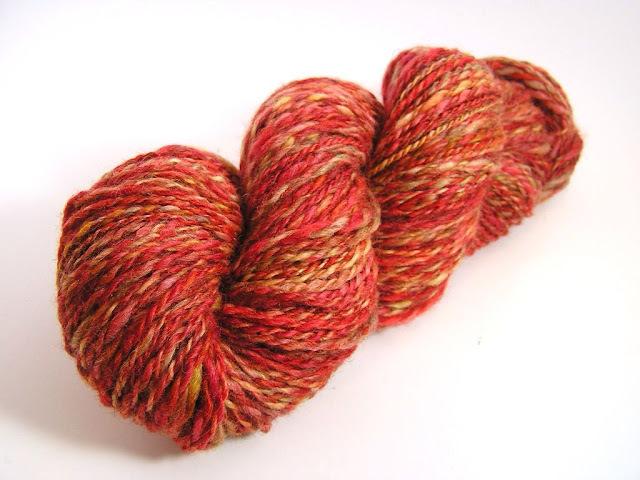 This merino/bamboo blend is my own hand dyed top, chain plied to about a sport weight. It was supposed to be part of my mum's Christmas present. I gave it to her today. Hmm. It doesn't photograph as nicely as it looks in person, but this one is amazing. 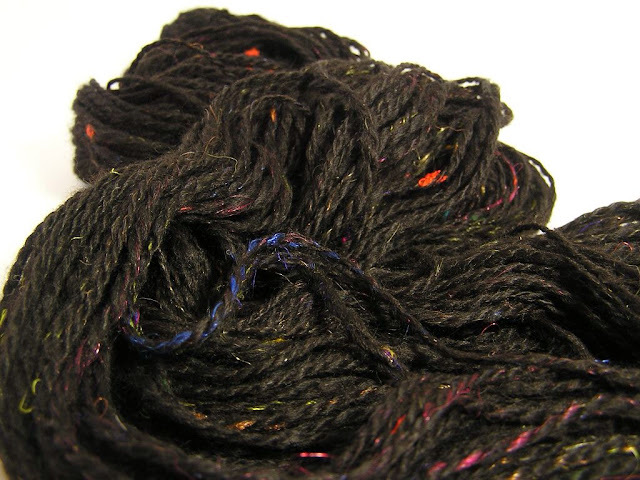 It's natural black alpaca that I processed myself from local fleece, blended with sari silk and a gradient of hand dyed firestar, and spun to a heavy worsted. It will be coming with me to Fibres West! What do you think? I'm pretty proud of myself. I'm currently knitting with some of my earliest wheel-spun, and WOW have I improved over the past year. I have so far to go still, but I'm very happy with the skills I have developed.